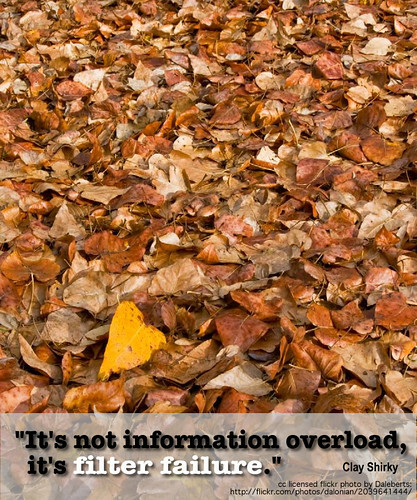 How long does information live? Over the last few hours I have devoted myself to catching up on all of the posts and comments generated by the very active EDCMOOC pre-course participants! There is such a wealth of information and wisdom. Quite a number of participants have commented on the overwhelming flow of ideas, tools, discussions, questions, and many have asked how to handle all of this. Sadly, I have no definitive answers (although I manage a number of curation tools and I use these regularly to help me stay on top in my position as Education Officer: Digital Learning for Brisbane Catholic Education), which undoubtedly help. These tools only go so far, however. You still need to read or at the very least skim the material to establish what to save and where to save it. 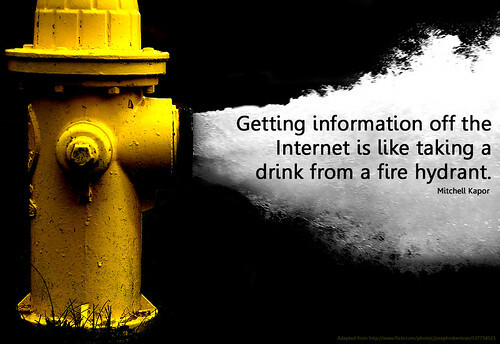 You need to evaluate the information – is this something you need to read now, later, or never? There is just so much out there – you can’t deal with it all!! Amidst this flurry of infowhelm, I began to look at the dates information was published, and wondered what the shelf-life of information is. When I was in high school (a long, long time ago!) it seemed ok to present research from books that were ten, even fifteen years old – indeed, most of the books in my school’s library were of that age!! That was the extent of the information I had access to, and therefore I used it to the best of my ability. Upon beginning a Bachelor of Business, I found that research that was more than five years old was looked upon with disdain by my lecturers; unless we were talking about classic economic principles or basic psych research. One of my courses, a Graduate Diploma in Religious Education had Theology subjects where the texts were attributed to scholars of hundreds of years previously; so clearly the context and subject matter to some extent determine the age of ‘acceptable’ information. However in this EDCMOOC, where tools live and die in a matter of months, where start-ups become standards in the course of a year and where technology changes over the course of what seems like hours, just how long is it until information expires in this context? I find myself looking at articles written in 2010 and questioning their validity now in 2013. I look back at documents I created even six months ago and find them dated, with websites’ changing looks and perpetual beta rendering screen captures and descriptions useless for new learners. And so, to the list of curation and collation tools, I add the filter of time. I respect that some things never change – good teaching will always be good teaching; and many truths hold no matter what format they are delivered in; however when overwhelmed with choice as to what article/post/infographic to examine, I will add the lense of timeliness and discard those that reflect on sites that have since changed or grown or simply transformed (let’s face it, Facebook was completely different even six months ago to it’s current form). I’d love to know your thoughts; and if you have any other filtering strategies, please share!! 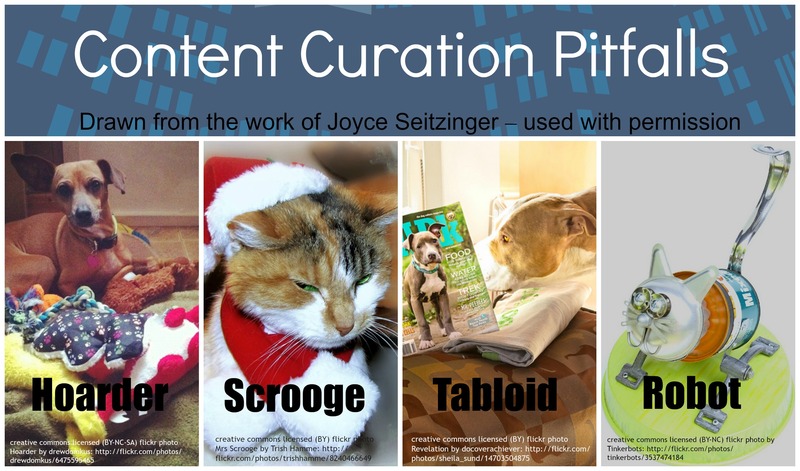 This entry was posted in General and tagged collation, critical literacy, curation, information, information literacy, infowhelm on January 23, 2013 by Kay Oddone.